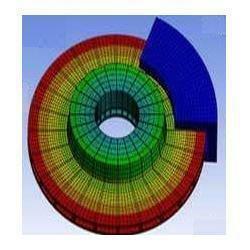 We are a leading Service Provider of fea service provider and finite element analysis from Mumbai, India. We have established ourselves as the leading enterprises actively committed towards offering Finite Element Analysis Services. Our professionals' knowledge and dedication helps us to meet the exact requirements of the clients within the promised time frame. Our experts render these services as per the information provided by the clients. Clients can avail these services from us as per their needs within promised time-frame. 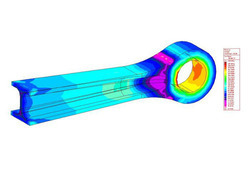 Finite element analysis (FEA) is a critical tool when it comes to product development. Simulation gives the product designer many scenarios to test product designs; this reduces the failure and provides measurable benefits in terms of lower manufacturing investment, and better efficiency. In troubled economic times, outsourcing FEA Analysis can give manufacturing companies a competitive edge while lowering costs. Looking for FEA Service Provider ?